Stratus Vineyards is far from the status quo when it comes to wine making. The "first fully LEED-certified winery in the world" happens to be using ReServe Cloud® Event Management software, and we are honored to partner with them. 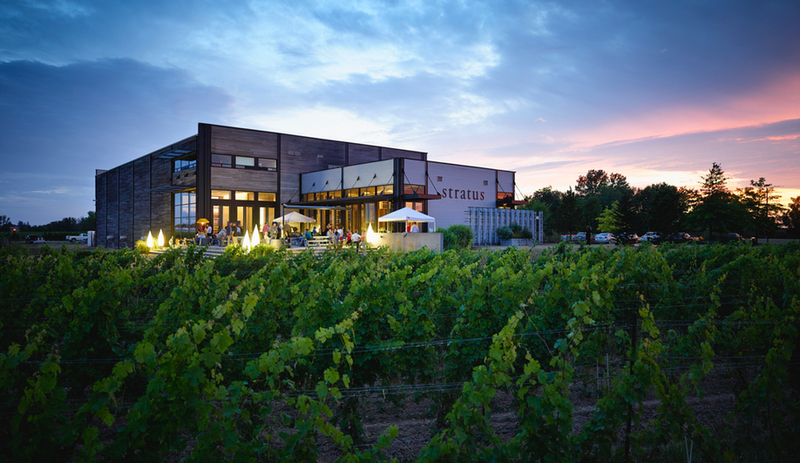 Located on Lake Ontario, Canada, this specialized winery holds both social and corporate events as well as regular tastings, tours, and experiences on a daily basis. Nearing 20 years in the industry, the growth of Stratus and the influx of event bookings monopolizes staff efforts. We recently caught up with Corporate Sales and Hospitality Manager, Meghan McCooey, to see how ReServe Cloud® Event Management Software streamlines processes for the Stratus staff. Now, Stratus uses ReServe Cloud to organize both private and public events, record reservations, and collect associated payments. The ReServe Cloud® process-driven Event Lifecycle Technology™ prompts staff with tasks to correspond with clients, create documents, and collect deposits by certain deadlines. The timelines "keep us in check, making sure that we're following through with every client and giving a consistent event experience," McCooey says. The automation of the software eliminates extra steps for staff when managing events. Another huge benefit of the software is the use of the ReServe Cloud® website portal, which allows guests to pay for tastings, tours, and events ahead of time. McCooey claims, "When they pay in advance, we don't have any of those issues anymore...I would even say we went from a 20% no-show rate to a zero percent no-show rate." Guests are able to solidify their attendance with payments online, ahead of time. With the ability to manage both sides of their business in one automated and organized platform, the Stratus staff is able to allocate more resources towards guest needs. Prior to using ReServe Cloud, Stratus would alternate between different programs to manage both public and private events. The use of these on-premise softwares limited staff to working solely at the office, while they quickly became outdated and unfit for the company's evolving needs. One of the main issues Stratus found was their previous reservation system led to a repetition of no-shows and wasted resources. "We were preparing food and wine for guests and they weren't showing up because they didn’t have to pay in advance," says McCooey. After spending nearly half of her work day on bookings, calls, and emails for reservations that never showed up, the hours lost began to accumulate. Stratus needed a system that would manage their tasting room and events as efficiently as the winery itself. When they pay in advance, we don't have any of those issues anymore... I would even say we went from a 20% no-show rate to a zero percent no-show rate.